Recorder Player. From Australia. In Europe. Blogging. My dear friends, colleagues, and leaves on the wind! For the last while, I have been preparing a short album for digital release, entitled Ayre, Divided. It is comprised of a series of English lute airs and madrigals from around the turn of the 17th century, with divisions (variations, for those not yet in the know) by yours truly, written for solo recorder. It was inspired by the divisions of Dutch composer and recorder player Jacob van Eyck - he wrote first piece, Fantasia and Echo, which I have included as something of a tribute to him - and includes versions of songs by John Dowland, Thomas Campion, Philip Rosseter, Robert Jones, and Thomas Morley. The final track is just a little version of Autumn Leaves I whipped up, to demonstrate the similarity between the ancient art of division and the modern art of jazz improvisation. And because it was fun. Yes, I know jazz on recorder is a bit kitsch (although wait until I get my hands on one of those fancy new Eagle recorders, I'll be a jazz recorder player yet!) but bear with me, okay? You can find the album, listen, and buy tracks on my Facebook page. Let me be the first to say that this album is far from perfect. It was done on a limited budget, in a limited time frame, and was something of an experiment for me. 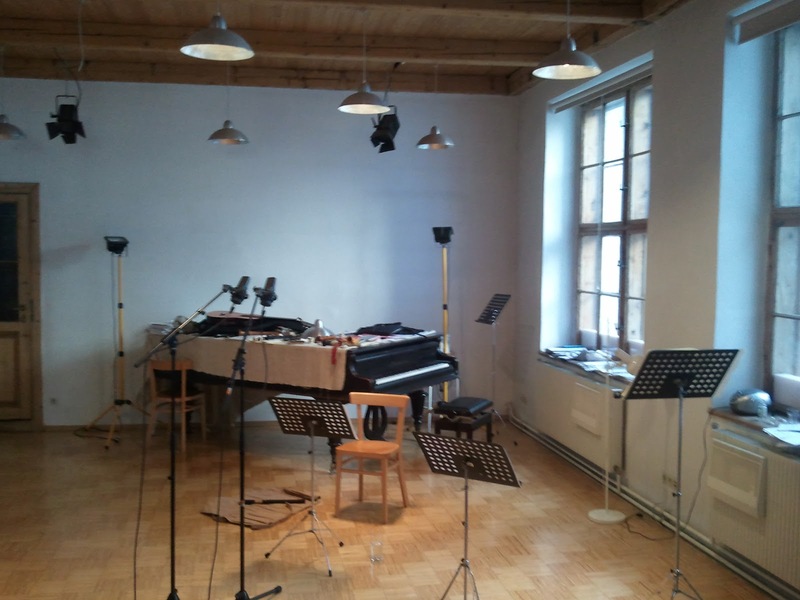 I have never done any recording - at least not of baroque music - but I was lucky enough to have a chance to use the home studio of the wonderful recorder player and teacher Hans Maria Kneihs in Vienna, for nothing but the price of transport. He and I engineered it, too. A bit. This isn't really a commercial release, per se, but a chance for my friends and others who may be interested to both hear some of my music and to offer their financial support for my ongoing development. Living overseas is expensive, particularly in a city like Salzburg where there are very few jobs for English speakers, and very few concert opportunities for early music - despite Salzburg's reputation as a musical centre! So I guess you could say it's a fundraiser, both for me personally, and for some projects I'm lining up. More about that shortly. I was fortunate this last semester to take a class on early ornamentation with harpsichordist Florian Birsak, with the focus of much of the course being on early Italian divisions. I was struck by two things in this class: first, that many writers on divisions had styles so distinctive as to make most of the 'rules' of division appear obsolete; and second, that we as contemporary performers generally focus our conception of 'divisions' on a very narrow repertoire, specifically Italian madrigals. But there are other examples - Van Eyck's Der Fluyten Lust-hof is one, The Division Flute is another - that look at entirely different repertoire, in the first case the popular songs of the day, in the second mostly older songs ingrained in England's culture. What I got from this: while it is all well and good to study these things, it is both more interesting and more musically stimulating to then just do it, to select your own music and divide based on your own personal experience and style. So that's what I did. As I suggested earlier, this album is something of a fundraiser. First and foremost, it's raising funds for me to keep living - kind of an income supplement, supplementing the income I don't have. Most of my income recently has been from busking, but I have begun to find that rather soul-destroying; I prefer this method. At least here I can't see all the people not paying me for my work. But if it raises enough, money will also go towards three other projects, which will all hopefully lead to both (somewhat more professionally produced) recordings and performances, both in Salzburg and, with luck, further abroad. The first is in a similar vein to this - lute songs with divisions - but fully arranged with lute and gamba, and possibly with a second recorder player at times. The second is a small baroque ensemble myself and Serbian cellist, Tijana Milicevic, are putting together, with the added intention of heading a more vibrant early music scene in Salzburg - which does house an awful lot of talent, after all! The third, and most ambitious, project is one I'm referring to as 'Doe Land' - this is apparently the correct pronunciation of 'Dowland', for those wondering why. But basically, I want to blend my experiences both as an early music performer and as a singer/songwriter (for those who only know me as a baroque musician - yes, I have also been, and continue to be, a singer/songwriter) to create essentially modern lute songs - think Sting's versions of various Dowland songs for an idea of the sound, but with new music, and with more instruments: lute, viol, violone, and hand percussion. And possibly recorder solos. Maybe. I think there is so much scope for early instruments in this area, to create a kind of acoustic baroque/folk fusion that on one side brings those instruments into a new area of endeavour rather than relying purely on music of the past (and contemporary classical, which I honestly don't think tends to suit them too well), and also has the chance to expose younger generations to these sounds in an environment they can actually relate to: the club rather than the concert hall. ... to Hans Maria Kneihs for the use of his studio, and for his time helping with both the recording and the final editing. Hans, you have been extremely generous! Thanks also to Cameron Brideoake for contributing the wonderful cover art - he is a fantastic artist, you should check out his Facebook page! A portion of the proceeds of the album will also go to him. And of course thanks to the friends and family who have supported this idea. This is definitely only the humble beginning of some really interesting and exciting projects to come, so stay tuned for more! ... is a chance for me to connect with other early musicians, to share opinions and knowledge, and also to share my experiences as I work and study as a baroque musician on the other side of the world from my home.